Renato Tribuzy began his career in the early age of 12 in an Iron Maiden cover band. Four years later he and a few friends started a band called Horizon, when he was 16 years old. The band was quite successful and well known, counting on with a legion of fans. 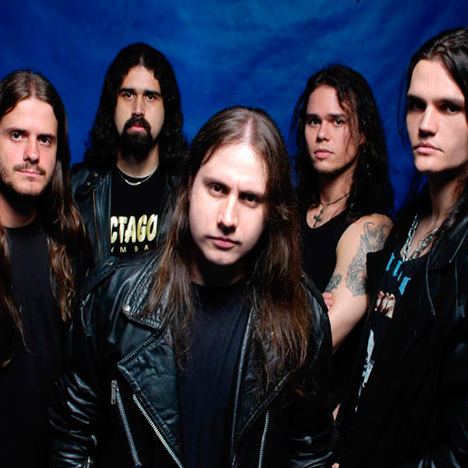 They were the first metal band in Rio de Janeiro to receive the support of a small record company. Later on, after the band broke up, Tribuzy started a new band, in 1997, named Thoten. In the same year the band released a demo. In 2001 Thoten release their first album, called “Beyond Tomorrow”, and in the following year they released it in Mexico, South America, Europe and Taiwan. The album was produced by Kiko Loureiro, Angra’s guitarist. Soon Thoten was touring in Europe and South America, performing on the best radios and pubs and participating on the Aglutination Festival IV, as co headline, in Chiaromonte ( Italy) Lima Metal Fest II as headline ( Peru). Thoten tour was the main subject of every single metal magazine in Europe and South America. The tour went by the following countries: Sweden, Denmark, Italy, Norway, Finland, Peru and Brazil. Tribuzy decided to leave Thoten and work harder on his career take-off, investing his time and talent on the make-up of Execution. Ask any headbanger in the world what would be the Heavy Metal “Dream Team” and at least one of these names will be said: Bruce Dickinson,Michael Kiske, Roland Grapow, Kiko Loureiro,Ralf Scheepers,Matt Sinner,Roy Z,Chris Dale. 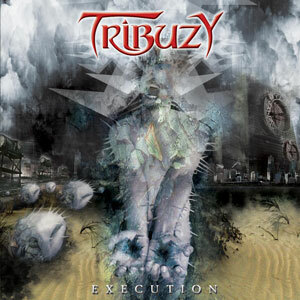 Renato Tribuzy gathered the best musicians of the heavy metal scene together on an album that has already made its mark in heavy metal history: Execution. Flavio Pascarillo Ivan Guilhon Renato Tribuzy Gustavo Silveira Frank Schieber Execution is a sonic experience. An album that mixes the best of Metal with strength, melody and the talent of the most respected musicians on the scene, playing nine songs written by Tribuzy and a cover (“Nature Of Evil”, from the German band Sinner). The musical influences used by Tribuzy during the writing process were the great classics such as Powerslave (Iron Maiden), And Justice For All (Metallica) and other 80′s heavy music. The production was done by Tribuzy, with the help of some of very experienced music producers, such as: Achim Koehler : Who has also produced bands like Helloween, Primal Fear, Sinner and Accept. Roy Z : Who has also produced bands like Helloween, Rob Halford, Judas Priest and has been working for years with Bruce Dickinson. Dennis Ward : who has also produced bands like Angra and DC Cooper. Execution is not only a project but due to Tribuzy’s dedication to it, he decided it wouldn’t be an isolated solo project. It is in fact his first band’s album, with great guests, and a world tour is being planned, since within five months the album got distribution in all the major territories of the world such as: USA, Germany, UK, Japan, Brazil, Argentina, Mexico, Russia, Italy, Spain, Portugal, Sweden, Denmark, Asia and more. Execution Appears in the heavy metal charts in several countries such as Brazil, Argentina and Japan, in this last one having the title track of the album as the title track of a TV sport show! After the initial success of the Execution album, it was decided to play some concerts in Brazil featuring all the guest artists from the album. This was a very difficult task to achieve with all the different artists schedules, but finally in November 2005 another dream came true and the full line-up appeared together onstage for three concerts and to be recorded for DVD release. Tribuzy is the first Brazilian heavy metal musician ever to work with such a well known group of people onstage, and one of the very few to do it worldwide. This DVD has 9 Tribuzy songs and three covers including a great jam with all the musicians playing the ZZ Top Song – Tush. In addition there are bonus features including the “making of”, rehearsals and interviews with all guests and the band itself. The DVD was recorded during 4 days in Brazil and received press coverage in the major heavy metal magazines and websites around the world. It has thus become one of the most highly anticipated up-coming heavy metal releases of 2006!